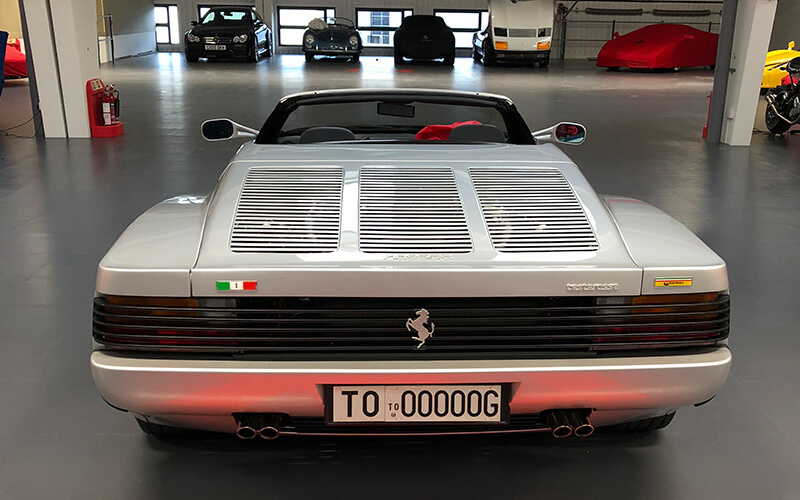 Ecotile Flooring Ltd manufacture hard-wearing tiles that look smart and can withstand industrial levels of use; ideal for garage and workshop flooring. 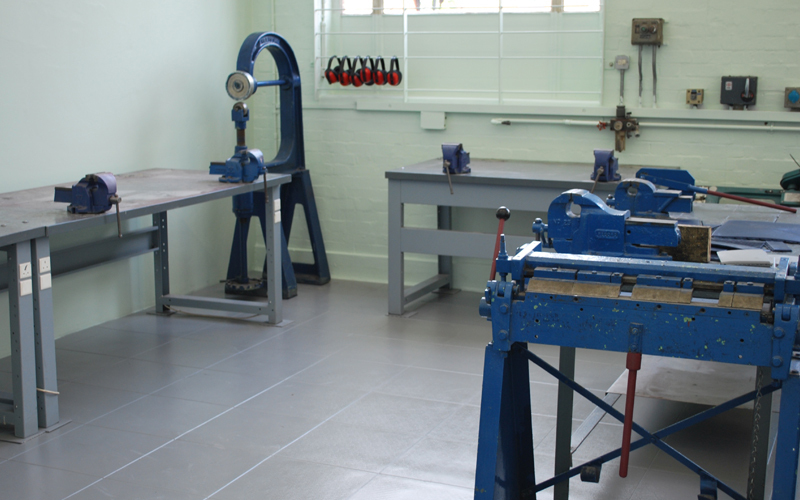 We provide interlocking flooring solutions that are the perfect fit for any professional workshop. 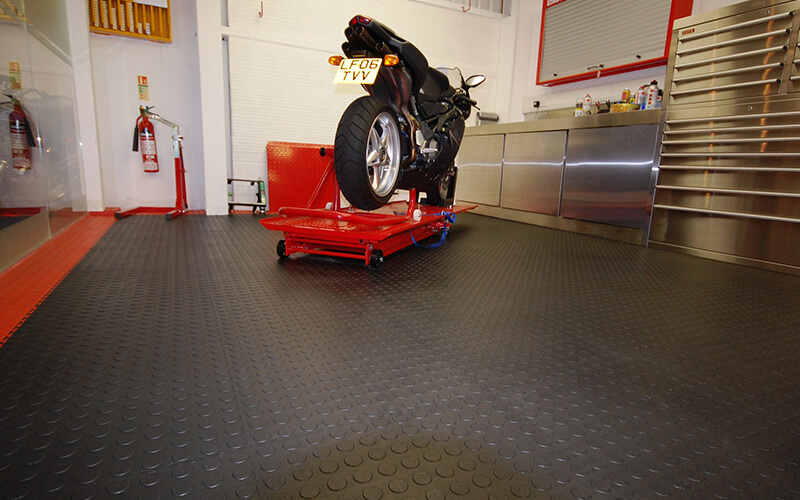 Manufactured from impact resistant heavy duty PVC Ecotile offers a far more flexible solution than traditional workshop flooring such as porcelain and ceramic tiles. Offers greater warmth and insulation than concrete. Choose from 7mm or 10mm and a wide variety of colours and textures to suit your business. 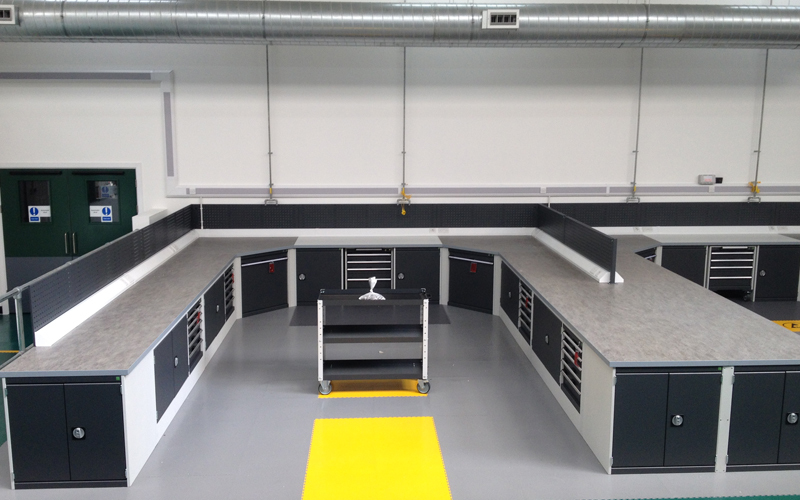 We can even incorporate walkways, demarcation zones and kanbans, giving you complete design control over your workshop layout. Please note that the industrial floor tile (E500 range) cannot be used outdoors. Thanks to extensive R&D the entire Ecotile range offers an R10 slip rating so you and your staff can work safely. Ecotile is also fire retardant and provides excellent levels of insulation, dust reduction and noise control. 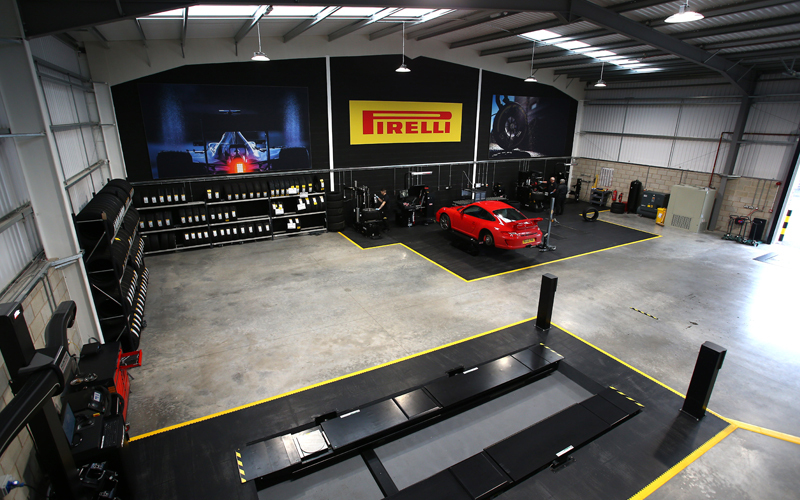 Easy to install and maintain, Ecotile’s garage & workshop flooring has been designed to overcome almost any problematic installation issue, excessive wear, paint delamination, dust, damp or contamination. We are proud of our excellent reputation for quality and customer service throughout Europe which we have built steadily over the last 20 years. 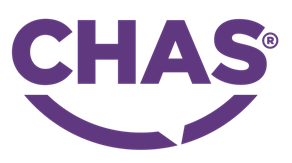 Our sales team offer a free site survey and are on hand to provide you with all the support and guidance you need. 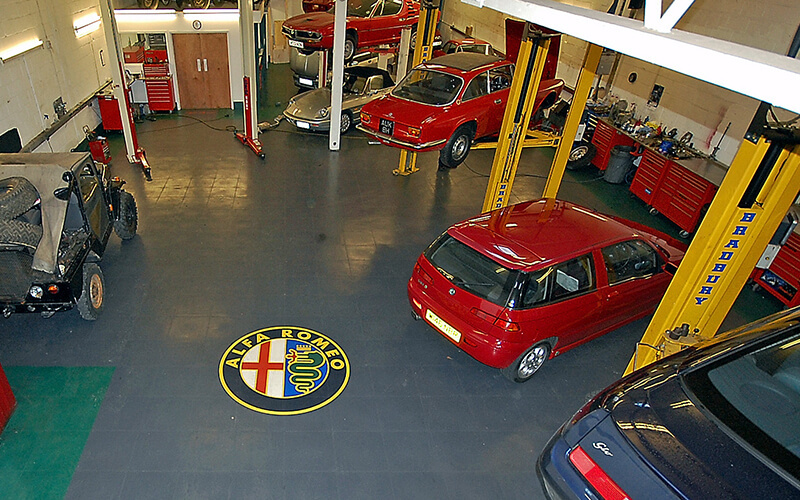 To speak to a workshop and garage flooring specialist call us today. Can Ecotile be used with catalytic converters? When the car is running the catalytic converter gets extremely hot and if the car is left running whilst sitting on the tiles it may cause the tiles directly under the converter to expand through the heat. This is only a temporary issue and the tiles will shrink back to their original size once the heat source has been removed. 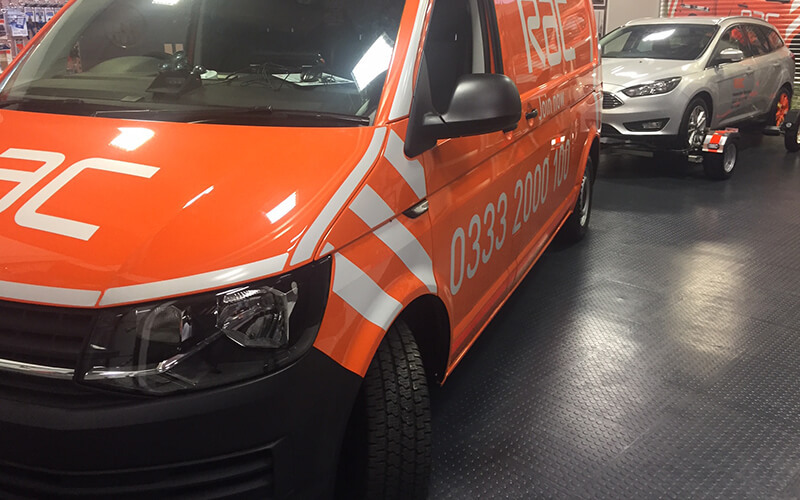 In a busy commercial garage it is worth considering gluing the tiles down in-between the lifts or ramps where vehicles may be left with the engine running. Is there a reaction between rubber tyres and Ecotile? 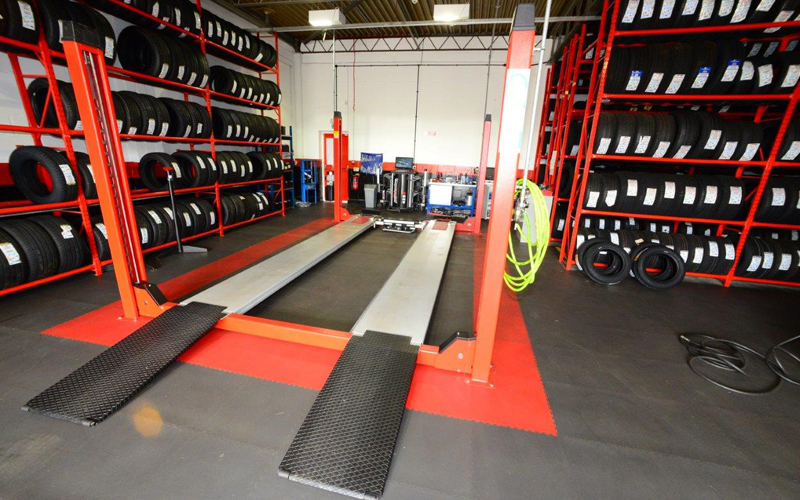 Rubber tyres will stain almost every type of floor including bare concrete, painted and vinyl flooring. The stain is a chemical reaction and will not damage the tiles or impact on their durability. The stain is caused by a component used within the manufacture of car tyres called ‘6PPD’ (phenaline diamine). 6PPD is an anti-oxidant and is added to rubber products to resist environmental attack by ozone and Ultraviolet light. It also has other beneficial effects in the moulding of rubber itself. 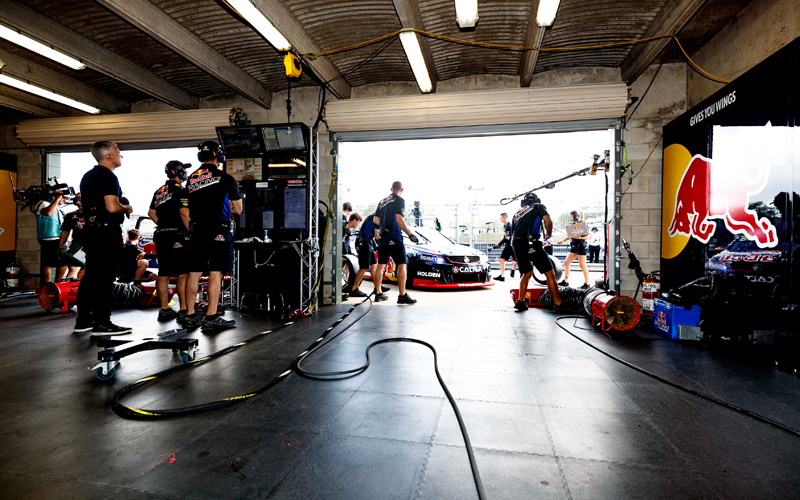 Since it adds to the cost of making tyres, manufacturers usually only add it to the softer high performance tyres. The staining is dark grey / green in appearance and will show within 4 to 5 hours of the tyre being located on the tile. The stain cannot be removed as it is a chemical reaction between the 6PPD and the surface it is in contact with. Because the stain in a dark grey / green it is far less obvious in the darker colours and is almost indistinguishable from the colour of our graphite tiles. It is also less obvious in the black and green colours. 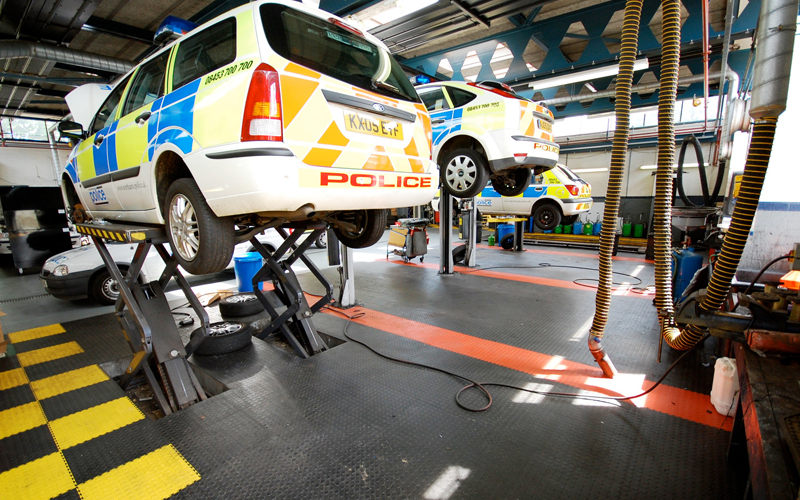 Light grey, yellow, white and red should be avoided in areas where tyres will sit. 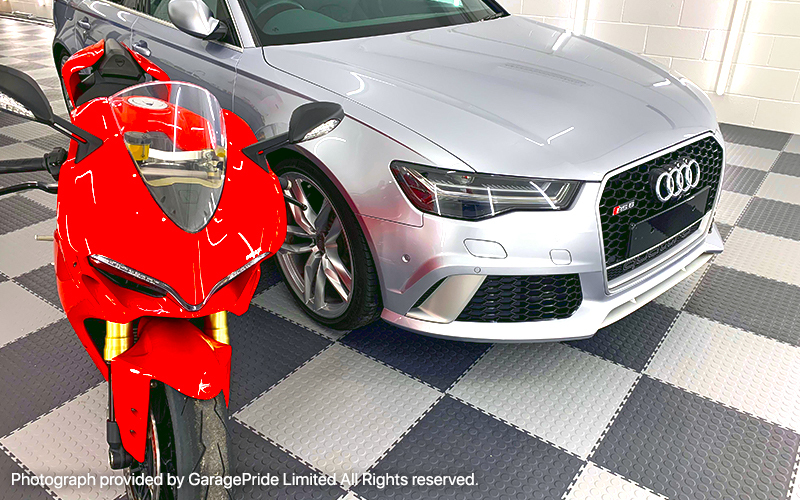 If you wish to use the lighter coloured tiles to brighten up the garage or workshop design the floor in a layout that uses the darker coloured tiles where the vehicle will be parked.